Let’s Get to Know … Alison Newcomb! 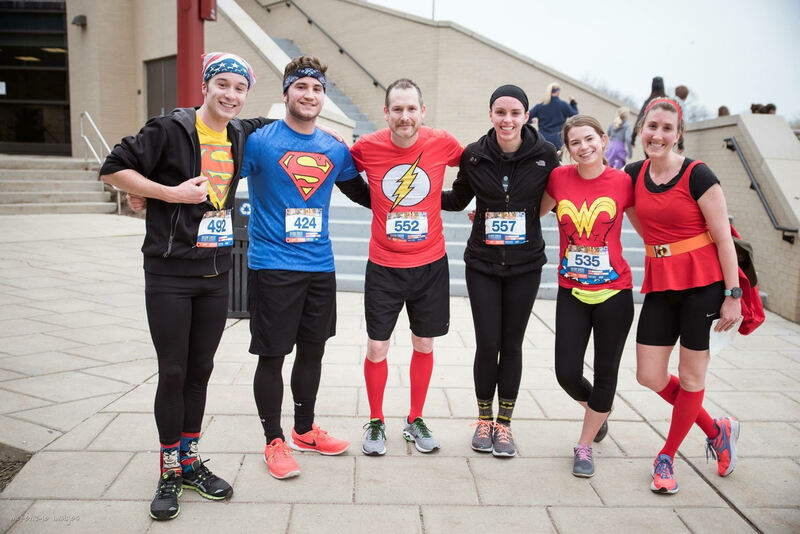 It’s no secret we adore Performance Running Outfitters – their stores are the place to find the best running gear in MKE. So today we’re excited to feature one of their assistant managers, Alison Newcomb. Alison began running at an early age but, like many of us, took several years off before getting back into it a few years ago. Read on to learn how she got her passion for the sport back and how she’s now training to run stronger than ever! Favorite workout: I’m a big believer in strength training since I’ve come back from my injury. One of my favorite workouts is my heavy leg weight lifting days – doing squats and deadlifts. Exercises that I couldn’t do properly with just my body weight two years ago, I’m now doing with more than my bodyweight. I really feel accomplished when I do these workouts. When it comes to my running, I still love my LSD runs (long slow distance). There’s nothing quite like it for clearing your head and getting a little perspective. Garmin 235 – I am a big techie, so my GPS watch is a favorite. I love seeing all the details about my run, especially on hill or speed workouts – the graphs are great. Some days I’m at a loss for how I trained before it because of all the features. R8 by Roll Recovery – This recovery tool is sooo amazing. I know how important rolling is, but sometimes I don’t want to get on the ground and do the work. The R8 does deep tissue massage without the awkwardness of a foam roller. Plus, it’s compact, so it’s easy to take to a race or training session. In addition, it’s an FDA registered device! Momentum Wraps and Sweaty Bands – These both add a little style to my workouts. The Momentum Wraps are a great pick me up. I wear them pretty much 24-7. While they’re perfect for workouts, I love them for when I’m going out, too. As someone with bangs, the Sweaty Bands are perfect for keeping my hair out of my eyes during a workout. Plus they’ve got great patterns and colors. I always make sure both match. Pre-race routine: My breakfast has become a major part of my routine. I was having problems with GI issues due to the fiber content in my traditional pre-race breakfast and finally tweaked it to what it is now. It’s a little odd, but it works for me: one egg over hard, a Greek yogurt, and a piece of English muffin toast with half peanut butter and half raspberry jam. The amount consumed is tweaked based on the distance. At the race I do a half-mile warm up and stretch. I try to throw a few strides in as well. Favorite post-race treat: A Papa Murphy’s Delight pepperoni pizza with green olives (I like the salt) and a NAP! Favorite distance to race: 10K – at this point in my running career I don’t have to change up my daily running routine much to get ready for a 10K, meaning I can still have a social life while getting ready for a race. I actually ran my first 10K in Germany and took first in my age group. When they presented me with my award they said I had come “all the way from America” to beat the Germans. If you could run with anyone, who would you pick and why? Probably my cross country “brother” and “sister”, Kraig and Erin. My dad coached high school cross country, so even when I was little I hung out with a lot of runners. Kraig was on my dad’s team when I was quite little and spent a lot of time at our house. He did very well in high school and college and ended up competing in the Olympic Trials. Erin ran with the high school team while she was in middle school. I took her under my wing and she became the little sister I never had. Erin went on to have a very successful high school and college running career as well. While the three of us have vacationed together and done other “family” activities, we have never raced together. I would love to do a destination race with my cross country “family” and their families. It would certainly be a fun, memorable run. How/Why did you start running? I started running the summer before my freshman year of high school. I had been a jack of all trades when it came to sports in elementary school and middle school, so when it came time to pick A SPORT, I was at a bit of a loss. Turning to my family for guidance was just the thing I needed since my dad was the boy’s cross country coach and nearly everyone in my extended family runs. That first summer I ran with our rec department’s Runner’s Club and went from not being able to run a mile to making varsity for our team’s first meet that fall. It was a huge learning experience for me and an amazing confidence booster – I was hooked. How does running improve your life/outlook? What keeps you motivated to run? I believe running is about personal growth – both on and off the course. I became more confident, outgoing, compassionate, and driven because of running. That personal growth is why I keep running. There is always a new goal to set. I try to cover a lot of different areas during my weekly training. This year, I’m working with my running coach, Nicole (Momentum of Milwaukee and Performance Running Outfitters’ training guru) and my strength coach, Max (AMC Energy Fitness) to really tailor my program to be more strategic in my training. I normally do a variety of types of runs, including pace work, speed work and hills. I’ve also added more biking to my cardio cross training this year. I work major muscle groups on my strength days – legs, chest, back, shoulders and arms. I’ve also refocused on core this year, which means about four days of core exercises engaging various muscle groups. Lastly, I try to hit up a yoga class. It’s another great core workout and helps me with my flexibility. How are you involved in the local running community? What prompted you to get involved? When it comes down to it, finding like-minded people who I could train with and learn from was the reason I got involved in the local running community. I work at Performance Running Outfitters in Oak Creek, so I engage with runners on a daily basis. Before I started working at PRO, I attended almost every single one of their fun runs. Running with PRO was a no brainer. It was a wonderful way to meet like-minded people, try out new gear, and, most of all, have fun. Now that I coordinate the fun runs I get to help build that community. I’m also a Mother Runner (although I’m only a puppy mama) and member of Badgerland Striders and Oiselle’s Volée. While some of the community that comes from these groups is primarily online, I appreciate the fact that while I have a retail schedule, there are people cheering me on and going through the same sorts of struggles that I am. Some of these friends I see in person, but even if I never do, I know they are there for me. I also try to volunteer at a local race at least once a year. Take the time to hand out medals at a local race sometime – it’s a truly transformative experience. Tell us a bit about what it’s like to work at Performance Running Outfitters – we imagine it must be super motivating to work while surrounded by runners, running shoes and running gear! Working at a store devoted to your passion is AMAZING. Not only do I get to see and test all of the shoes and gear, I also get to learn from my coworkers, customers and vendors about all things running. What was at first totally overwhelming is now really rewarding. The more I learn, the more I can share with our customers. I also love getting to know each customer – their experiences and goals – in order to tailor their experience whether they are a new runner or seasoned veteran. Plus I get to run at work when we host our in-store events, a total plus. Tell us a bit about your most memorable race – what makes it stand out? My most memorable race to date was the Disney Princess Half Marathon in 2015. After a stress fracture in my tibia in college, I hadn’t run for almost nine years until I found a “shiny” new pair of running shoes, which helped me find my passion again and set the goal to run my first half marathon. 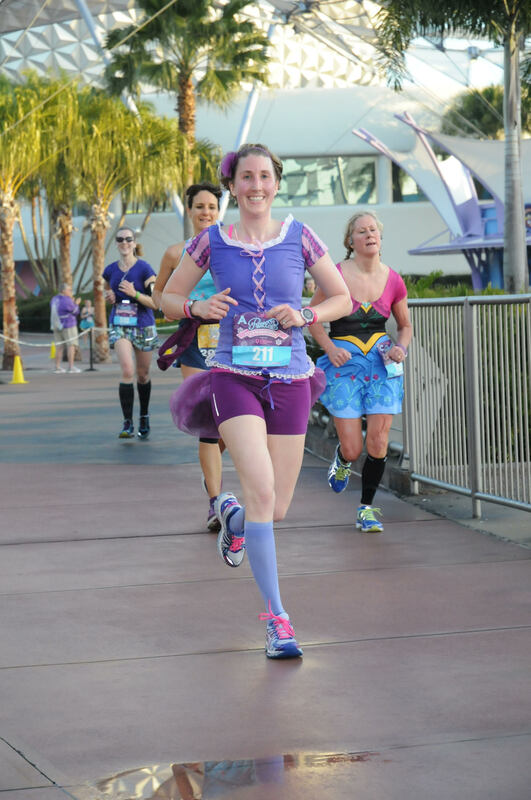 I had just finished looking at pictures from the 2014 Princess Half and how fun it looked and thought, that’s the goal. A perfect goal for a runner who is a self-proclaimed DisNerd. My family, friends, trainer and physical therapist became the best possible support system I could ask for. The race was so emotional; not only was I running at Disney, which was an experience in itself, but I had worked hard toward my goal and found my passion for running again. My parents and husband also attended the race and were the best cheer squad I could ask for. What’s on your race bucket list? Disney Wine and Dine Half Marathon (just registered for! ), The Tenacious Ten, Nike Women’s Half Marathon (somewhere abroad), Walt Disney World Half Marathon, The Runner’s World Half Marathon (and Festival), and the Napa to Sonoma Wine Country Half Marathon. I’m all about the racecations. My main goals are to continue to stay healthy and grow as a runner, whether that means new training, new distances, or new personal bests. This year I am specifically focusing on being more strategic and training smarter. I’m looking to make core and recovery a priority, support others in achieving their goals, and continue to eat balanced meals. With everything that I am working on, I’m hopeful I’ll PR my half as well. Firecracker Four – The Firecracker Four is the perfect local 4th of July run. Running through Hales Corners is such a treat because families come out and sit in their driveways to watch the race. You may even get to run through a sprinkler or get shot by a super soaker! It also brings a large community of local runners together. It’s a great opportunity to catch up with people you may not have seen over the winter months. 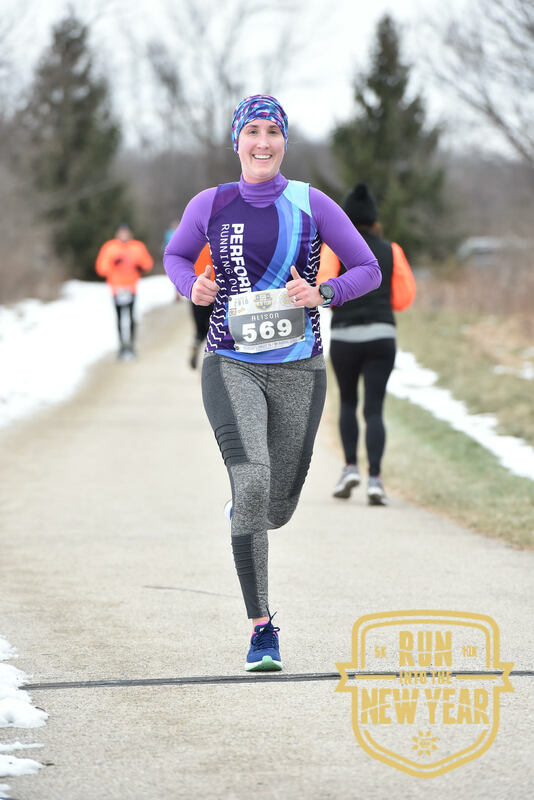 Brewers 10K – The Brewers 10K was the first race I ran after coming back from my stress fracture. It’s a very sentimental race for me because of that. I also enjoy that you get to run on the field – my husband and I are Brewers’ fans. This past year was especially fun, because my PRO family was in the stadium cheering me and other runners on. It was great to get a little push at the end. Milwaukee is a great place for runners, because there are so many opportunities to connect with one another – lots of running groups, fun runs and races. There isn’t a week in Wisconsin that there isn’t something going on, which is pretty amazing. And there is something for everyone; whether you are running your first 5K or completing your first Ironman. Plus, there’s always someone there to support you in your journey, you just have to look. Thanks so much for chatting with us, Alison! This entry was posted in MKE Runners and tagged Alison Newcomb, MKE Runners, Performance Running Outfitters, Running in MKE. Bookmark the permalink.